County Supervisors initiated the notification process at Tuesday’s board meeting on a 4-0 vote. Letters printed in English and Spanish will be mailed to up to 6,000 individuals who may be due a refund because they may have been overcharged when they had a juvenile housed at a county juvenile hall facility from 2010 to 2016. The county ceased assessing the fees in 2016. The letters will instruct the recipients how to file for a claim. District 2 Supervisor Candace Andersen of Danville was absent for the vote. The county estimates parents of juveniles held in county juvenile hall facilities were overcharged $8.8 million dating back to 1990. The board’s Public Safety Committee will review whether another 6,000 residents living in the county between 1990 and 2010 might be eligible for refunds. Supervisors would also establish a procedure whereby residents could claim money that was improperly withheld when youths were detained in juvenile hall facilities. Supervisors will determine if the county improperly overcharged for electronic monitoring fees. Assistant County Administrator Timothy Ewell told supervisors there are about 12,000 cases that the county has identified from 1990 to 2016 that might be entitled to refund checks averaging $262 per account because of the work by Contra Costa supervisors did, and support from citizen organizations like the Racial Justice Coalition, statewide to make juvenile hall housing fees illegal on racial and financial hardship grounds. Contra Costa is the first county in the state to begin the procedure of refunding money to parents or guardians of juveniles who were held in juvenile hall facility and were overcharged. “No one is expecting a mad rush of people to file claims,” said District 1 Supervisor John Gioia of Richmond, who was a key player at the county and state level in igniting the juvenile hall overcharge refund movement. District 4 Supervisor Karen Mitchoff said it should be up to the claimants to show proof in the form of canceled checks, bank statements or some other proof of payment when filing a claim. The fiscal impact to the General Fund is projected to be $136,000. Site of the approved Heritage Point Senior Apartments in North Richmond. 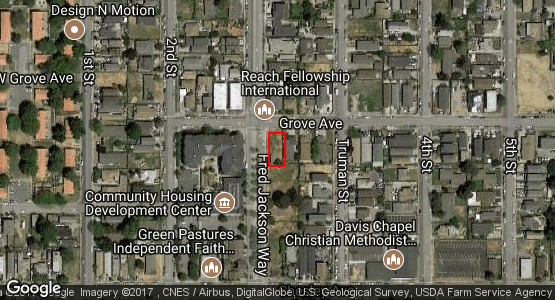 On a 5-0 vote, supervisors flashed the green light for construction to get underway for a $27 million senior housing project in North Richmond fronting the east side of Fred Jackson Way between Grove Avenue and Chelsey Avenue. The 42-unit, Heritage Point Senior Apartments will be financed by the county with up to $17 million in Multifamily Housing Revenue Bonds. Supervisors were informed that financing for the Heritage Point development is secure. However, future affordable housing developments might be in jeopardy depending how the 2018 United States budget reform bill shapes up. Contra Costa County could potentially lose $3.5 million in bond financing for the North Richmond project if the budget reform bill is passed by Congress, said Maureen Toms of the Contra Costa County Conservation and Development Department. Fortunately, the county has enough money in reserves to fill in funding gaps for projects like the Heritage Point development, she added. Riviera Family Apartments. Rendering by RCD. “This could be the tip of the iceberg on the potential elimination of public funding for future affordable housing developments,” Gioia warned. 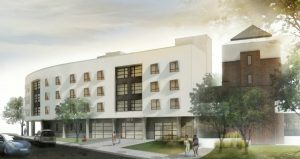 In addition, the board approved converting $1.6 million in taxable bonds into tax-exempt bonds for a 58-unit, multi-family affordable housing apartment project in Walnut Creek. The Riviera Family Apartments will be located on two separate parcels, at 1515 and 1738 Rivera Avenue. The County had previously approved $19.2 million in tax-exempt bonds for the development in May 2016. 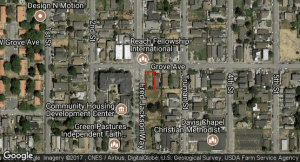 The developer is Resources for Community Development in Berkeley. According to the staff report, no County funds are pledged to secure the bonds. In other action, the board honored Carmen Piña-Delgado who is the Supervising Real Property Agent with the Public Works Department in the Real Estate Division for her 35 years as a county employee. She started her career with the County Administrator’s Office as a Clerk-Experienced Level under the Affirmative Action Officer and due to budget cuts was let go. But, then in October, Piña-Delgado was rehired by the Health Services Department as a Clerk-Experienced Level in the Public Health Division.